Derrick Kosinski & Scott Yager are once again joined by Marie Roda. Marie Roda (@Marie_TBD) had an amazing year in 2018. So much so that she was voted Funniest Commentary & Most Improved by both the patrons & the experts in the Challenge Mania Awards. Marie joins Derrick (@DerrickMTV) and Scott (@SHOTOFYAGER) to learn about her big awards wins, break down The Final Reckoning Final, discuss the big moment at the end of the show, let us in on her dating life, explain what went down ... See More with her and Amanda, why she doesn't get along with Nelson and whether she was slated to be on Ex on the Beach. 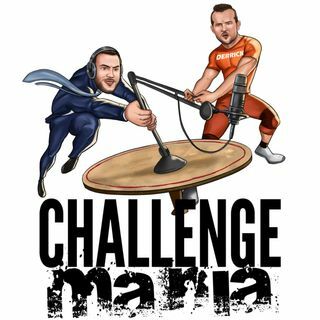 FREE SHIPPING CONTINUES at www.ChallengeMania.Shop until January 22nd! Don't wait! Oh Yeah and everything said about Nelson so true!